It has become a sort of ritual for Japanese manufacturers to pit their latest offerings against more traditional, German rivals. The fact that certain cars are the benchmark in their respective segments is pretty obvious when other manufacturers use them as the ones to beat. The latest showing of such a comparison comes from Acura and its new RDX model. In order to celebrate the launch of the car in the US, the company invited journalists to test it against the best cars in its segment, including, of course, the BMW X3. The guys from The Fast Lane Car accepted the invitation sent out by the people from Acura to go ahead and test their latest RDX against the BMW X3, Audi Q5, Mercedes-Benz GLC and Volvo XC60. The choice of the testing platoon wasn’t theirs as Acura picked these German and Swedish cars to compare against their latest crossover, as they considered them to be ‘the best in the segment’, a statement we can agree with. 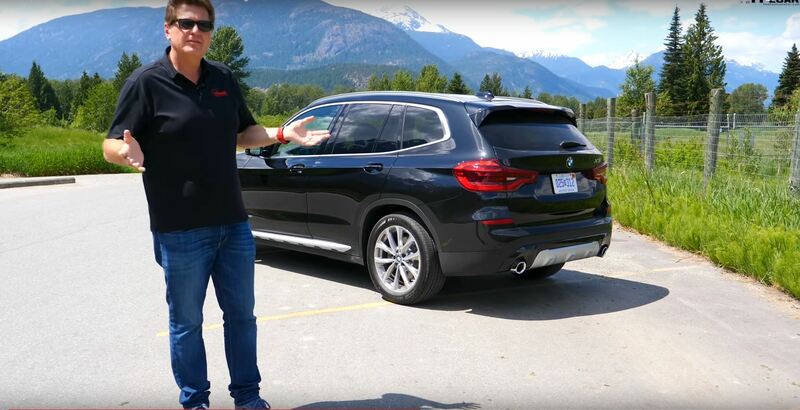 If you’re a long-time subscriber, you probably already know that the guys from The Fast Lane Car have an issue with BMW’s gearbox lever and, especially, the way you activate Launch Control, a procedure that somehow manages to elude them every time they test a BMW. In this particular video, Roman complains about the apparent un-intuitive way the shifter works, having you pull back on it to go forward and push it forward to go backwards. That’s just the way most of the automatic transmissions work, I guess. Speaking about the BMW he also points out that releasing the hood demands two pulls on the lever, a safety feature BMW has been implementing on its cars for years, and other manufacturers are starting to do as well, to protect the drivers. As for the actual comparison between these five cars, as you’re about to see, it’s reduced to personal preference and whichever purpose you want to achieve with your car. Want more luxury and comfort? Go for the Q5 or Merc. Want to be able to go off-road? Go for the XC60. Want to have fun behind the wheel? Get the X3 or the RDX.